Check out Tobi's All Ruffled Up Stripe Crop Top When ruffles met stripes, we were totally into it. 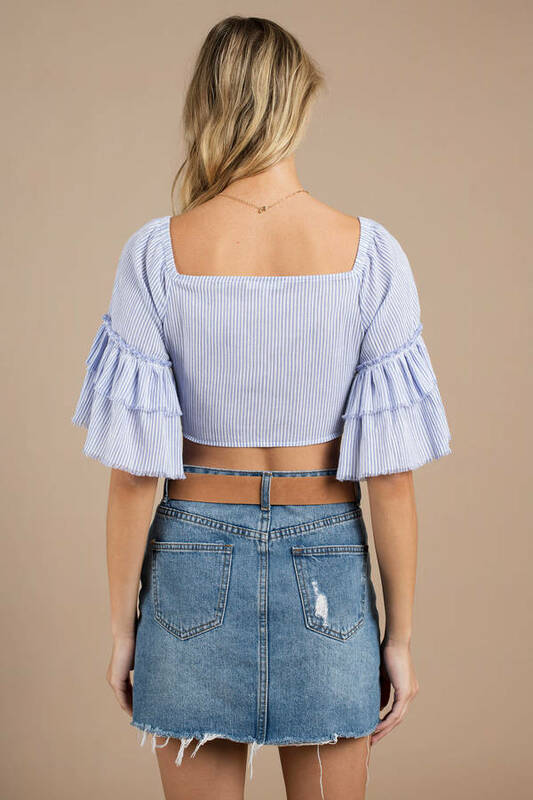 The Blue Multi All Ruffled Up Stripe Crop Top is a fresh striped crop top with a center knot front and half length sleeves with all the ruffles you need. Pair this knot front crop top with denim for casual days where there is fun to be had. When ruffles met stripes, we were totally into it. 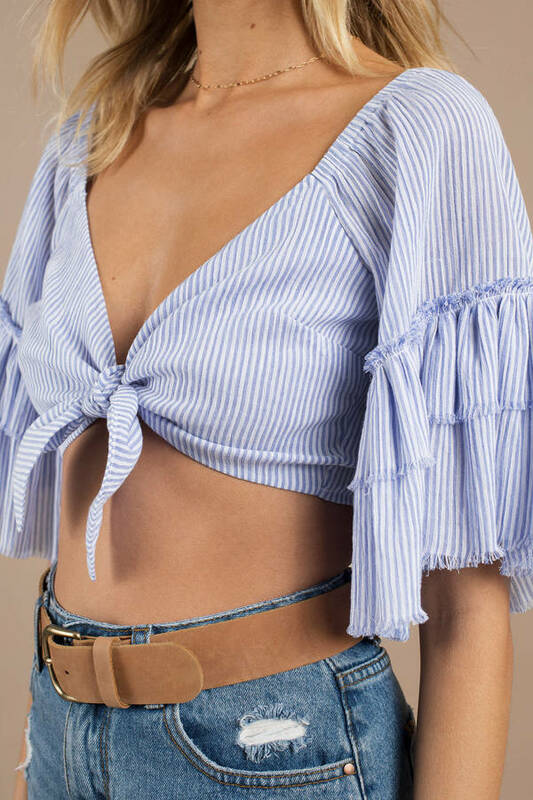 The Blue Multi All Ruffled Up Stripe Crop Top is a fresh striped crop top with a center knot front and half length sleeves with all the ruffles you need. Pair this knot front crop top with denim for casual days where there is fun to be had.